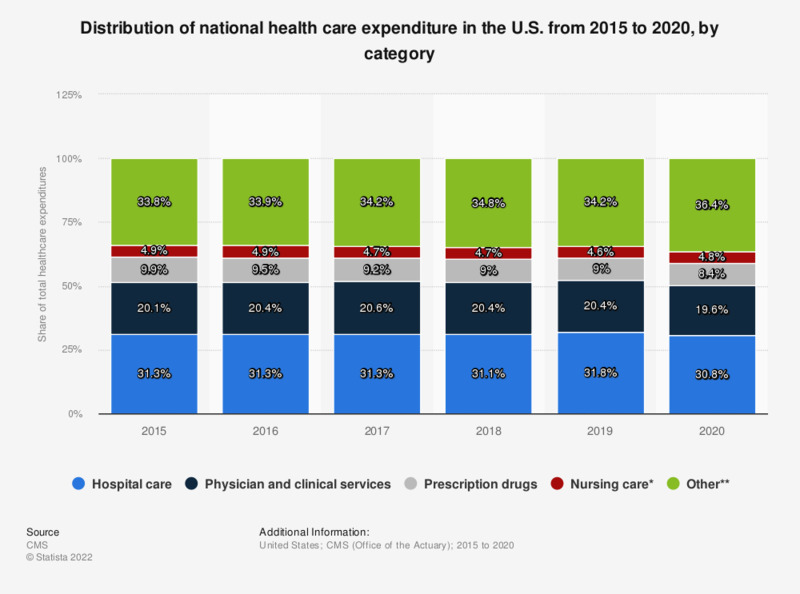 This statistic shows the distribution of national health care expenditure in the U.S. from 2015 to 2017, by category. In 2016, 32.5 percent of total U.S. health care expenditures went to hospital care, while 9.9 percent went for prescription drugs. Who do you buy the most expensive Christmas gift for?